Huanyu Instrument mainly provides instruments and tools. We provide voltage customized services, specific requirements can be contacted by email, we will respond promptly.After your order is confirmed, the product usually takes 7--13 business days to arrive to your hand. The machine adopts intelligent design, easy and quick operation. 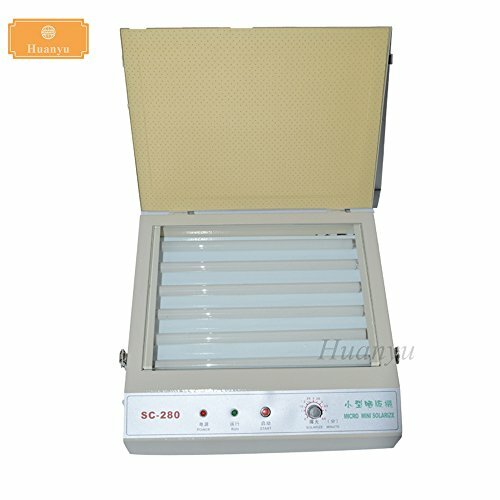 Light source using 15W ultraviolet light, can be widely used in drying PS plate, resin plate. When purchase, please confirm the product is from our Huanyu Instrument, otherwise we can't ensure the quality and after-sale service.We will try our best to provide you the best product and service, welcome to buy our product. Printing down: The process of producing an image on a light sensitive plate by exposure. If you have any questions about this product by Huanyu, contact us by completing and submitting the form below. If you are looking for a specif part number, please include it with your message.